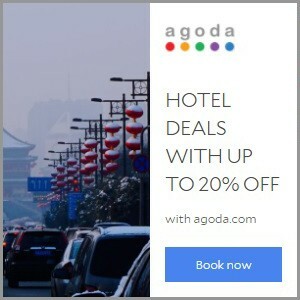 Agoda is one of the fastest-growing online hotel platforms worldwide, listing hundreds of thousands of hotels and providing services in 37 different languages. Agoda is one the best platforms of finding hotels in Asia. I mainly book through this website in Asia. Booking.com is the world's number 1 accommodation site, guarantees the best prices for any type of property, ranging from campsites to five-star luxury properties. I mainly use this website to find accommodation in Europe. Hostelworld is the leading global hostel-booking platform operating in 19 different languages. Connecting young travellers with hostels around the world, Hostelworld has over eight million reviews across 33,000 properties in more than 170 countries. Airbnb is a website for people to list, find, and rent lodging. It has over 1,500,000 listings in 34,000 cities and 190 countries. I have used Airbnb in Prague (Czech Republic), Madrid (Spain), Granada (also Spain), Ljubljana (Slovenia) and Belgrade and I had great experience. Tips 1. Always read the reviews. 2. Always offer approx 20% less than the listed rate. Use my link to get a further €35 OFF when you sign up. For obtaining Visas prior to your trip I highly recommend iVisa. Getting a visa at an Embassy, Travel Agent or at a border crossing can sometimes be very frustrating. iVisa takes the hassle out of obtaining tourist visas. It's done simply online via their website. 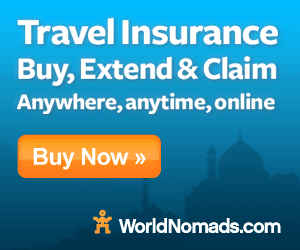 World Nomad Travel Insurance for independent travellers from more than 150 countries. Trusted by Lonely Planet - buy, extend & claim online. 24hr worldwide assistance. You may get "free" travel insurance with your credit card company or your health plan/policy, but this normally is a very basic cover. World Nomad Travel Insurance offers you very comprehensive travel insurance. You can choose a package that best suits your requirements. It covers everything up to getting air-lifted to hospital in the case of an emergency. It costs from €12/$14 per week per person. There are also family packages. Skyscanner is a global search engine that enables people to find comparisons for flights, hotels and car hire. The service is free to users and directs you to the airline, hotel, car hire provider or travel agency to complete the booking process. I always use skyscanner when booking long haul flights and of recent I have also booked some short haul flights with it. For more information check out my post on How To Book a Cheap Flight. Lonely Planet is the largest travel guide book publisher in the world. Love travel? Plan and book your perfect trip with expert advice, travel tips, destination information and inspiration from Lonely Planet. HiFX is the UK’s leading international money transfer specialist, providing online international money transfers of £50 - £300,000 24 hours a day, seven days a week. TripAdvisor is an American travel website company providing reviews of travel-related content. It also includes interactive travel forums. I read as many reviews as possible before booking a hotel room. Hertz is an American car rental company with international locations in 145 countries worldwide. Hertz is the largest U.S. car rental company by sales. I have used them 3 times and have no complains. DreamHost is a Los Angeles-based web hosting provider and domain name registrar. I have used dreamhost for 10 years and I can't recommend them enough. Their dashboard and cpanel are easy to use and their customer support is excellent. Disclaimer: Please note that some of the links above are affiliate links, and at no additional cost to you, I earn a small commission if you make a purchase. I use all the companies listed and I recommend them. Thank you for your given information. It is very important for us.